For anyone interested in the baking and pastry arts, preparing delicious muffins is a vital skill. Classic varieties like blueberry or chocolate chip are reliably tasty, but chefs are increasingly exploring the possibilities of savory muffins. These items bring together a range of amazing ingredients in a surprisingly compact and easily portable form. Try a few of the most popular savory muffins and soon you’ll be adding your own touches to these comforting creations. Bacon, cheddar and jalapeno make a great team, and they’re even better when joined together inside a freshly baked muffin. Uncle Jerry’s Kitchen provided a recipe for this savory start to your day. Start by cooking bacon and crumbling it up. Then combine two cups of all-purpose flour with a cup of whole-wheat flour, plus the bacon, baking powder, salt, chopped jalapenos, grated cheddar and chopped scallions in a mixing bowl. Pour in 12 ounces of buttermilk and a quarter-cup of water, and stir to form the batter. Divide the batter between greased muffin cups so each one is about three-quarters filled. Place in an oven set to 375 degrees Fahrenheit to bake for about 25 minutes. Insert a toothpick to check whether the muffins are done. Remove the tin from the oven and allow to cool for five minutes. Transfer the muffins to a wire rack and rest them another 10 minutes. Then, it’s time to dig in. First, beat eggs and pour them into greased muffin cups until each is about halfway full. Then, add your preferred omelet mix-ins, like peppers, onions, mushrooms or spinach. Bake at 375 degrees for half an hour. When the muffins are finished, you can allow them to cool and enjoy right away, or save them for a quick breakfast on the go. Just place the muffins in a plastic bag and keep refrigerated. 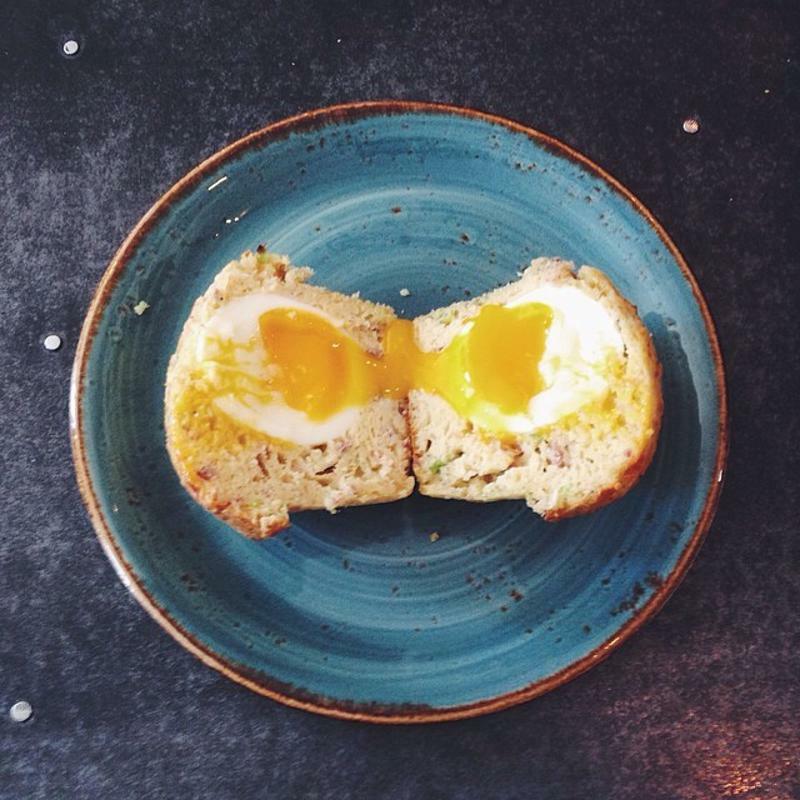 Combine a soft-boiled egg and muffin for an amazing start to your day. William Werner, a California-based pastry chef, has built a reputation on his remarkable creations at the patisserie Craftsman and Wolves. One of his most popular items is the Rebel Within, a muffin that contains a soft-boiled egg. He shared some hints for making this signature dish with Epicurious. First, boil the eggs for just under five minutes before moving to a cold ice bath to stop the cooking. Lightly tap the shells to crack them, and place them back in the water for a moment before peeling. Be very careful to avoid any cracks in either the white or yolk. At the bakery, Werner makes small, savory cakes instead of traditional muffins, which are too thin for the job. Follow Me Foodie provided its own version, which features a thick batter packed with tasty ingredients. This recipe calls for three kinds of cheese – Parmesan, cheddar and gruyere – as well as two eggs, butter, baking powder, baking soda, shallots, bacon, flour, salt, pepper, buttermilk and chives. While you can adapt the muffin recipe to your preferences, it’s important to bake them with the eggs nestled inside at a temperature between 425 and 450 degrees. That way, they’ll finish quickly to avoid overcooking. Finish off the muffin with your favorite toppings, like salt, hot sauce or avocado. Savory muffins are tasty and versatile way to start your morning. Culinary academy students can customize these items with their favorite ingredients and techniques to produce a whole array of crowd-pleasing favorites.